Beside the excitement of the 4 day Periscope Summit in February 2016 in San Francisco and non-stop networking, I extended my stay to explore the city where you have to make sure to wear flowers in your hair. 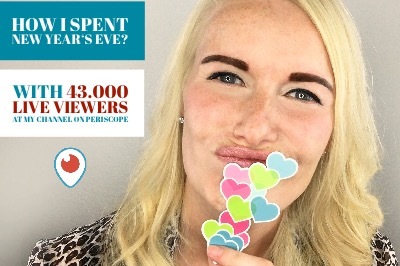 And of course I broadcasted the best moments live on Periscope and shared it with all my followers worldwide. It was the first time I was in that breathtaking city and besides all the rain, wind and some cold days – ok, there were some days where the sun came out – I used every day to discover the beauty of San Francisco and visited some top spots in the surrounding area.